ohhh your evening sounds lovely..! One of my girl's has gone to London today with her daddy to visit the museums for her birthday, so I'm home alone with the youngest two. We are making two chocolate birthday cakes... :0 . Needless to say the wine is chilling. 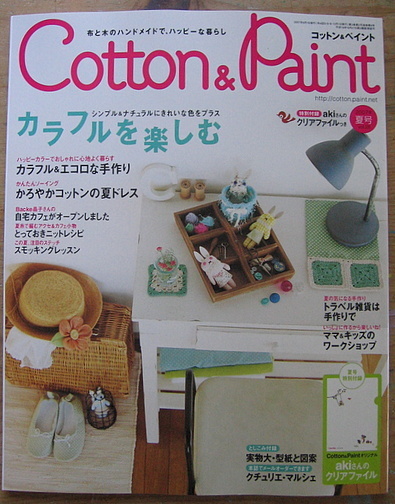 I really appreciate how you always so show many pages from the Cotton and Paint magazines. I have one treasured copy I read over and over. I sure wish Yesasia would stock it. I treated myself to a large piece of linen with a store coupon for 40% off. It's supposed to be for making placemats as a wedding gift, but I keep looking at it thinking what a lovely article of clothing it would make--such as that shawl! Ooo, you temptress! But really, thanks for showing the innards, I love getting a preview before I decide to buy. It's almost like getting to see it at my local magazine store! Yay for beaded bracelets, I bet they'll be smashing. I hope you'll show us a photo later. Would you mind dreadfully if I stole your "not an Anya H" idea? I dearly love the idea taking the piss out of these fashion-victim ethical bags. 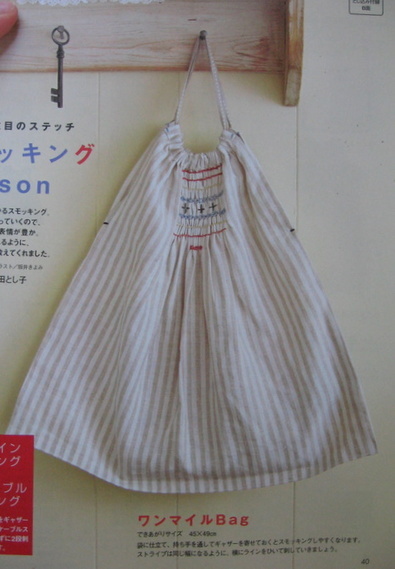 I've been carrying my old cotton shopper for so many years now, it really is a tatty old rag, and that is just the perfect, perfect idea for replacing it. That linen shawl is striking! I love buying japanese magazines, my best friend live sin tokyo , so its fun to to mag swaps! That linen shawl is striking! I love buying japanese magazines, my best friend live sin tokyo , so its fun to do mag swaps! You are brilliant as well as hilarious! You should start a craft-along/flickr group/swap based on the "I am not an Anya Hindmarch Bag"... you're a genius! eep!!! that's the same mag i ordered just a couple days ago. i can't wait to get it! Thanks for the show and tell, I think I will have to get a copy! Have a good evening with the Wii, we have one in our house and man! is it addictive and I am NOT a video game person. Resist! Resist!! I don't know whether to thank you or tell you off! 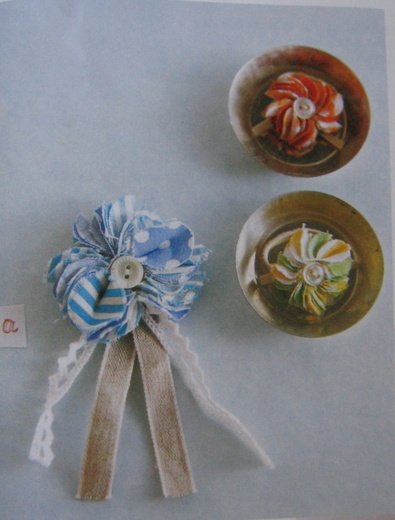 I was so taken with the Japanese craft books on your site that I went straight to ebay and bought some! I second Hay's comment: wii is fun. It is simple, interactive and even a bit creative for the users... at least try creating your own little mini wii self. Playing Wii sports is a lot of fun. All of us like it, even my six year old daughter, who isn't into video games. Creating your own Mii is a lot of fun too. My husband's looks just like him. Sounds like a great weekend for everyone! 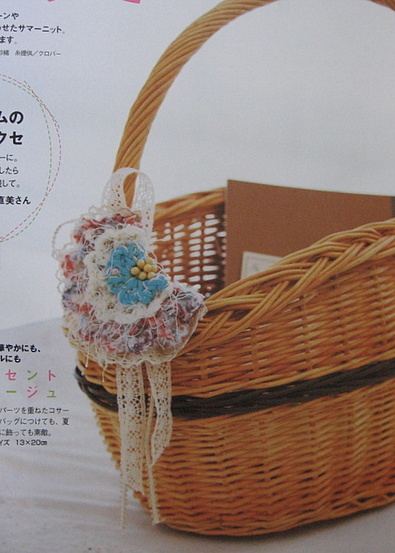 Japanese craft books are so fantastic! Thank you for the nice photos! Those corsages are really pretty - and all the other things too ;) I really like your blog. I have visited here long time but not until now am I brave enough to leave a comment. Happy spring! 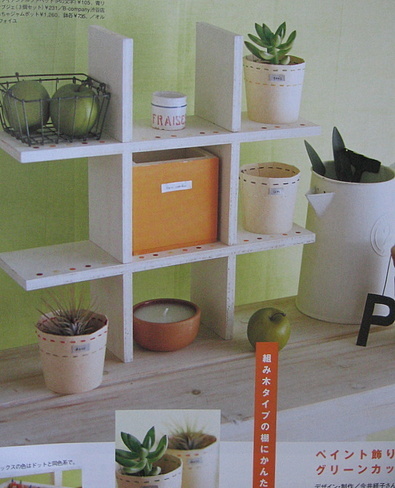 I just rec'd the Japanese book, Design Collection for kids based upon your recommendation...i love it! thanks. It may be silly but I do get a bit frustrated at not being able to read the words, however I don't think learning Japanese is in my future. Do the Japanese LIVE in linen? Because I'm very jealous!! It's hard to find in Alabama. And I think, now, that I must get a Wii just to remember your comment about the name reminding people to not wet their pants. So funny!!! Some lovely things in that issue! Hope you had a good weekend! It sounded blissful! Oh, what pretty things! 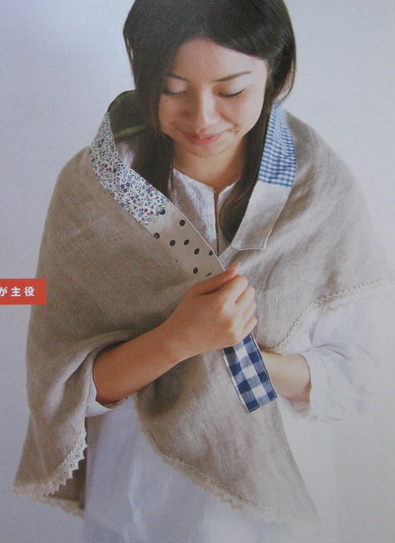 My favourite is the linen shawl, it's just sweet. I've been enjoying your blog and lovely creations for quite some time now. Your work is very inspiring. Thanks for sharing! Thinking about linen a lot lately...this book has some pretty projects in it on that topic. These are great! 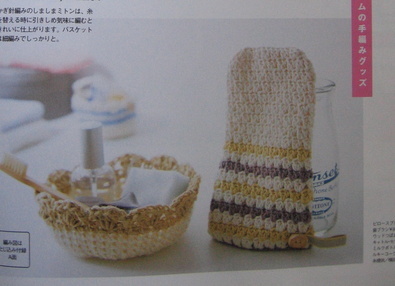 Thank you for sharing your japanese craft magazine info. And for your inspiration in general. Happy Birthday to Billy. 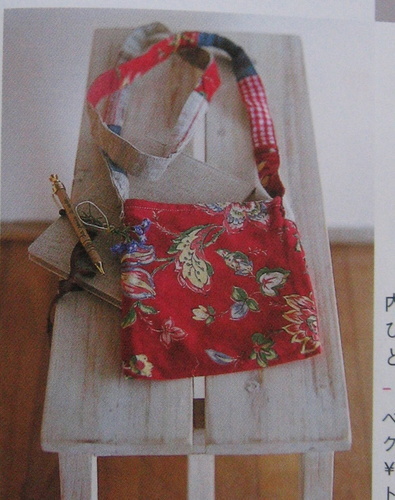 The draw string bag with the elastic stitching. I have a shirt that has it and have been wondering how to do it myself. Do you have any ideas or advise on it? Aren't they awesome? I've posted some of mine today by coincidence. I was looking at google for more posts from other people ant yours came up. I've linked to your post. OMG!! 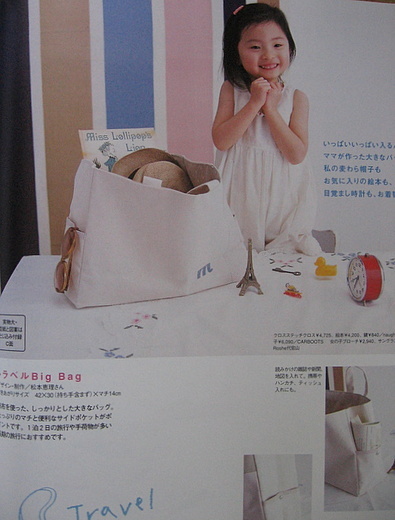 I had the exact same idea ... the "Not Anya's bag" idea... sooo easy to copy and tease. Did you see the queues for them? What is your favour ?